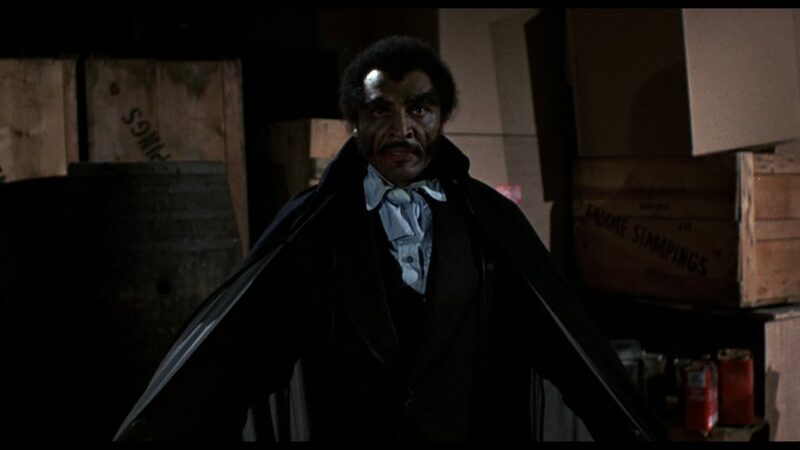 “Say, man, that is one strange dude.” William Marshall in the title role, Blacula (1972). The film had a huge influence on the author’s development. Picture: American International Pictures; Decades of Horror. Author’s note: One of the editors of Vamped, Anthony Hogg, asked me to write this after a discussion we had after I read his interview of the star of “Blacula,” William Marshall’s daughter, Gina Loring (good read by the way if you haven’t read it). After much thought and deliberation, I decided it would be a cool thing to do but not just because of my experience. As Anthony Hogg said during our discussion, you never know where your influences come from. My own story begins in rural Louisiana. As a little kid, I wasn’t big on horror. But as a preteen, it was something I grew to love with Dracula obviously becoming my hero, he still is but for different reasons and that is another story. Having been homeschooled, reading books from the library and renting movies or watching them on cable at grandma’s house were pretty much what we did in the eighties. I remember the first time I saw Blacula, on cable no less, at Grandma’s house and had to buy it after that. One of the few movies, I wore the VHS tape out. Watching it the first time actually hurt me at the beginning because I became so angry at Dracula, my hero. WHY WOULD HE TREAT THAT MAN THAT WAY? Not such a nice guy, after all. 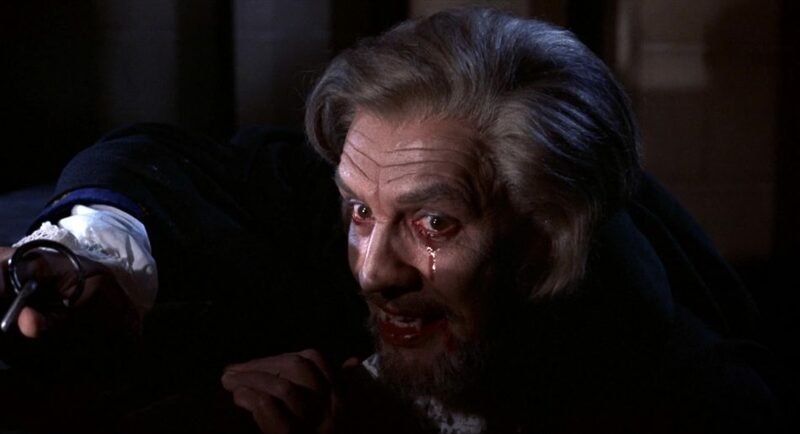 Dracula (Charles Macaulay) inflicts a cruel curse on Prince Mamuwalde in Blacula (1972). Picture: American International Pictures; Decades of Horror. Something you have to remember about Louisiana in the eighties and probably many places in the United States at the time: they used to gloss over the slavery part of history and tell us it was a bad period of time, it’s wrong, and we should never repeat it. It is not until most of us went to college we learn more about racism and that it still exists. It does not exist like it did but it still exist and many still ignore it until pressed. But I was freaked out about how Prince Mamuwalde played by William Marshall was treated and that is really an understatement. I was always taught to treat other with at least respect and civility if you couldn’t be friends which is something both my brother and I still do even now. But Dracula did not do that and he failed me in that moment. But I wasn’t just broken hearted, I wanted to know why and if he was really like that. Even then, I knew Dracula was based off of Wallachia’s Vlad the Impaler. This is how my search began at the library of course. Libraries back in the day were our greatest resources for finding information, however it took many of the branches in the metropolitan area, a college library, and an exchange student from Romania before I got all my answers over a period of years. This is probably why I settled on psychology as a major because of wanting to understand why people do horrible things to other people. Mind you, I never became a psychologist but all that study and I still don’t understand everything at 41 human years. What I came to find out was there were many, many horrible people when slavery of the African Americans happened in the 18th and 19th centuries of American history but there were also many good people who tried to help in any way they could. Those people often get jumbled up with the people who did the horrible things and people who did horrible things often get jumbled in with the people who did good. It was a horrible time all around and I wouldn’t want to live there much less be the people who lived there. I also found out that there was a lot of mistakes the United States is still paying the price because people even now are still making those same mistakes against other people and not just the descendants of the Africans then. It is one subject that still haunts me now because no one can find a common ground to start repairing the damage that is still going on in the aftereffects. In a different light but on the same movie, Vlad the Impaler was a horrible man in that he really impaled people. But in a time when every country on the planet almost was invading everyone else, that man was doing what he had to do to protect his land and his people even if it was becoming a mad man. That came from the exchange student from Romania, one of the nicest people I’ve ever met. I learned in later years, it wasn’t because the people making Blacula thought Dracula was a racist, but that they wanted to get people’s attention, namely Marshall wanted to get people’s attention on the subject. Well, Mr. Marshall, you at least got mine when I was a 12-year-old watching TV with Grandpa. Grandpa was also a huge help in this, answering my questions and encouraging me to seek out the research. He didn’t speak up much but when he did, you listened and attentively did you listen. He was I want to say half or a quarter Native American. You could tell because his skin even in his golden years was the color of red clay, rest in peace Grandpa. I took his words to heart because I still don’t quite fit in anywhere but I don’t let anyone treat anyone else bad if I can help it. So, this Heinz 57 girl at 12 was influenced by Blacula into understanding right and wrong, and that everyone bleeds the same no matter the color of their skin. It is completely crazy, but in the beginning, we all came from the same place. Science proved it and a horror comedy got the attention of someone who grew up to love everyone. Moira is the author of “Cat’s Eyes” (2013): “Morticia finds herself in a weird predicament when the Impaler shows up in her Tea Shoppe looking for her. The world as she knows it is a lie and the real world starts spinning out of her control.” You can view the book on Moira’s Amazon author page. If you’d like to read our interview with Gina Loring, William Marshall’s daughter—for her thoughts on her father’s famous portrayal—click here. Next article Was the Preface to the Swedish Dracula Written by a Priest? Moira McCutcheon lives in North Carolina with her husband, 4 cats, and 2 dogs. She loves anything creative and playing online video games.